Finally, an easy-to-deploy, integrated security platform that performs right out of the box. 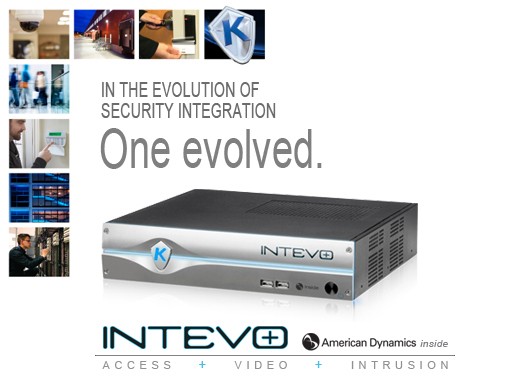 Intevo comes fully loaded with Kantech’s EntraPass security management software, American Dynamics IP video software, and includes support for DSC PowerSeries and MAXSYS alarm panel integration. Intevo is easy to configure and includes a customized dashboard for easy system management. And it’s got the toughness and dependability you’ve come to expect from products that carry the Kantech badge. Yes, the evolution is here. And it’s called Intevo. For more information on how Intevo can reduce costs and increase productivity, download our sales and technical documents by clicking here. Navigate to the “Documents” section and then click on the document type.